[Everyday] Psychophilosophy » On Your Sleeve or Close to Your Chest? On Your Sleeve or Close to Your Chest? I’ve been known to be an expressive guy—telling a story last night, I accidentally karate chopped a friend’s face. But I mean, come on—when has good gesticulation ever hurt a story? But not everyone is so wantonly wavy with their hands and arms in conversation, a distinction that extends beyond personality traits. In fact, there are cultural differences in emotional expression (a continuation of last week’s post) that may surprise you. Well, maybe not surprise you, but now you’ll have some dinner party conversation to impress people. Can you identify all of the emotions in these pictures? In the 1970’s there was a social psychologist by the name of Paul Ekman who was very much interested in emotions across cultures. To explore this, he photographed some local actors expressing different emotions, and then showed those photos to people all around the world. The question thus: Would people from different countries recognize emotions like people in the U.S.? When shown the picture of someone smiling, 95% of U.S. participants associated the expression with “happiness.” However, of the Sumatran people (an island in Indonesia), only 69% thought the smile conveyed happiness. Similarly, whereas 86% of people in the U.S. associated a wrinkling of the nose with “disgust,” only 60% of people from Japan did. 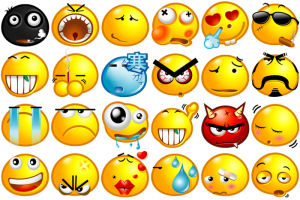 Later, Ekman and colleagues concluded that these cultural differences were due to “display rules,” or when and how it is appropriate for people to express emotions. For example, another study compared European Americans and Hmong Americans on this topic. The participants were first connected to physiological measures (i.e., sensors that recorded their heart rate, breathing rate, etc. ), and then subsequently recalled a life event that elicited happiness, pride, and love. During the recollection of the event, although both sets of participants were almost identical on the physiological measures, and although both cultures rated their feelings of happiness, pride, and love at similar levels, the European Americans smiled much more frequently and intensely than the Hmong Americans. But if the two groups are “feeling” the same amount of happiness, why is one smiling more? One theory posits that these emotional display rules differ as a function of how these two cultures separately view themselves and their societal framework. In North America, people have an independent view of the self. That is, they have a worldview wherein they are supposed to act on and change their environment so that it fits with their personal beliefs and desires. This is why North Americans express more emotion: they do so to more readily influence others. That is, by expressing one’s own emotion, s/he knows that it will influence others’ emotions, thus effectively “changing one’s environment” to fit one’s own desires. People from East Asian contexts, on the other hand, view the self as an interdependent one, a perspective in which one changes his/her own beliefs and desires to fit in with the environment. Therefore, rather than trying to change or influence others, East Asian culture teaches you to suppress your own intentions (or in this case, emotions) in order to adjust to others. So the next time you encounter someone who appears standoffish, consider whether their culture has simply taught them to be less expressive than you’re used to. With me, you’ll definitely recognize my North American roots. 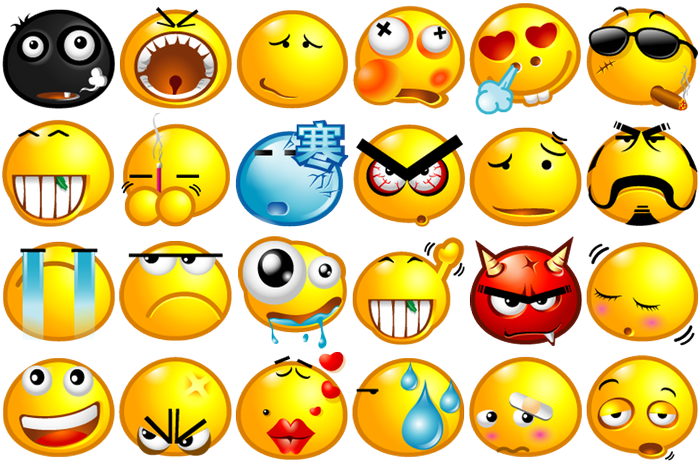 Does this mean we use emoticons differently between cultures, too? Ekman, P., Friesen, W., O’Sullivan, M., Chan, D., Diacoyanni-Tarlatzis, I., Heider, K., . . . Tzavaras, A. (1987). 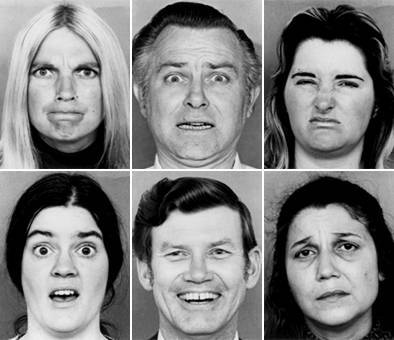 Universals and cultural differences in the judgments of facial expressions of emotion. Journal of Personality and Social Psychology, 53, 712–717. Tsai, J. L., Chentsova-Dutton, Y., Freire-Bebeau, L., & Przymus, D. (2002). Emotional expression and physiology in European Americans and Hmong Americans. Emotion, 2(4), 380–397. It makes me think, to understand people you interact with on a daily basis is much more than the simple commonalities of work, looks, gender, etc., —– a smile is not just a smile. One should take into account ethnicity, upbringing, religious persuasion, the mores of their heritage, if they eat domesticated animals, political persuasion, drinker not drinker, Ravens or Seahawks fan, etc. Life was so much easier prior to your blogs. Everything you said is spot on and I agree with it. The problem, of course, is that trying to take into account all those factors on a regular interaction would simply prove unwieldy. However, keeping in mind that there are other explanations for people’s behaviors besides one’s “gut explanation” is really the important lesson from such studies.